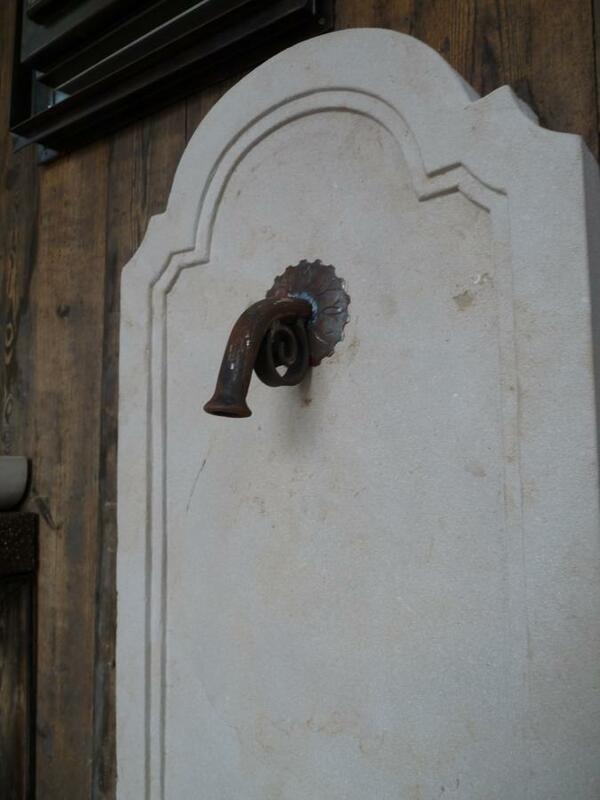 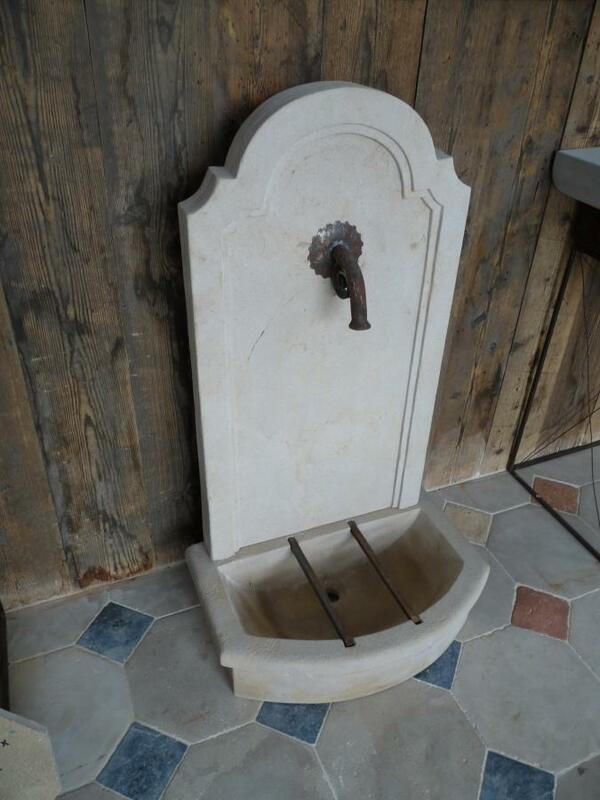 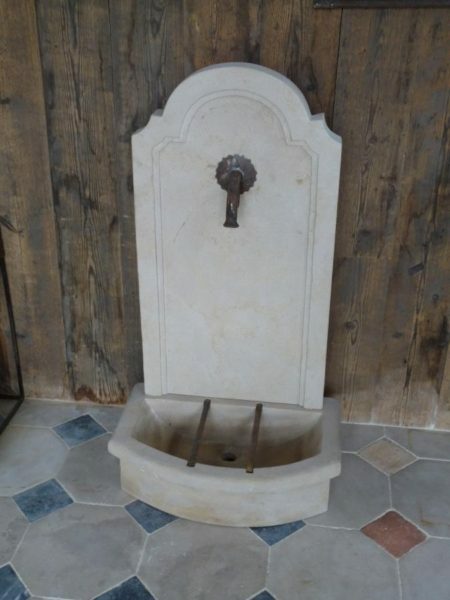 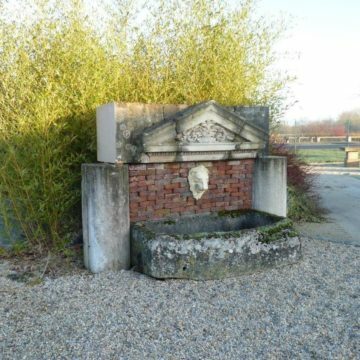 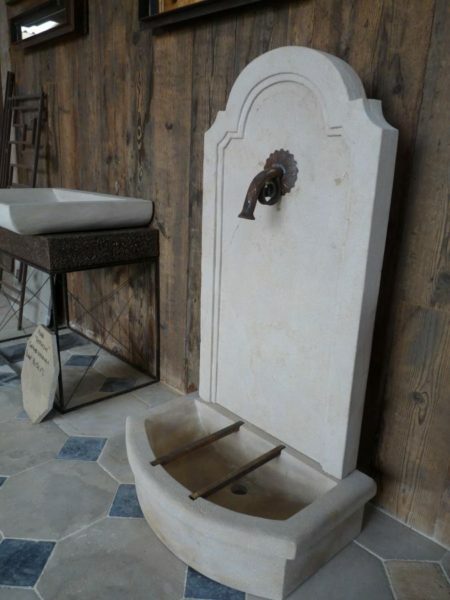 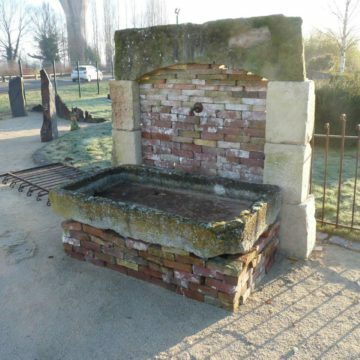 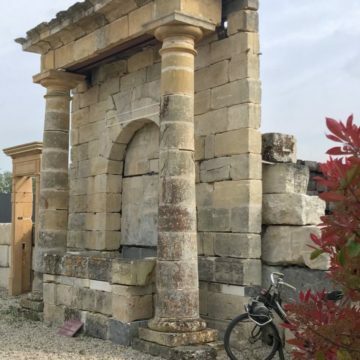 New limestone wall fountain with rustic weathered finish that will quickly gain patina once installed outside. 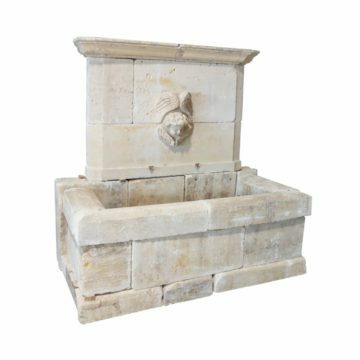 Also an ideal “boot room”, garden or wine cellar feature. 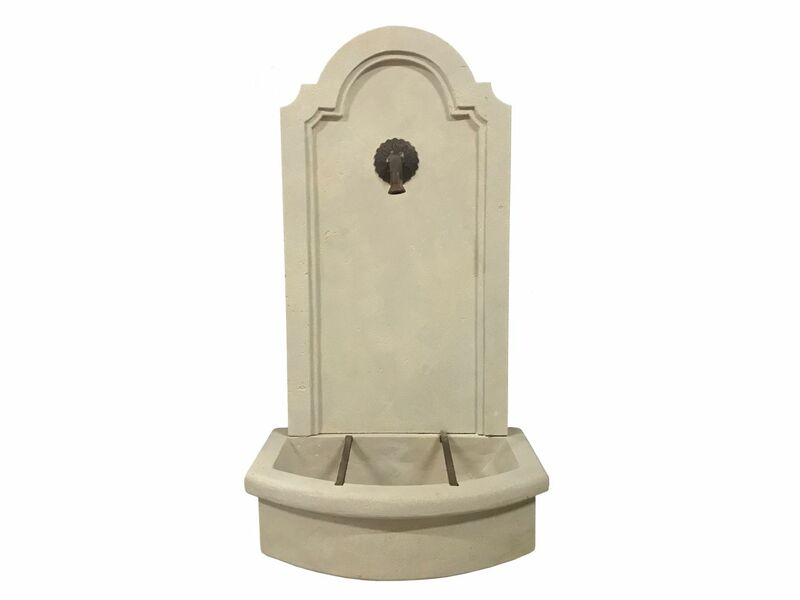 Dimensions : overall height 107cm (42 inches) x width 60cm (24 inches) x front-to-back 40cm (16 inches).